Avalanche goaltender Sami Aittokallio will make his season debut tonight as Colorado continues its three-game road trip in Tampa Bay against the Lightning (5 p.m. MT, Altitude 2). Jean-Sebastien Giguere was previously scheduled to get the start against the Bolts, but he injured his back yesterday in preparation for the Avs' game across the state against the Panthers. Giguere was listed as day-to-day, and there was hope that he would still be able to play against Tampa. However, his back injury hadn't made the progress needed for him to get the start on Saturday morning. Semyon Varlamov made 34 saves in a 3-2 win yesterday over the Panthers and has seen a heavy workload recently, getting the start in the last eight games (6-1-1) and playing in 16 of the club's last 17 contests. Varlamov should get a little break with Aittokallio getting the start against the Lightning. 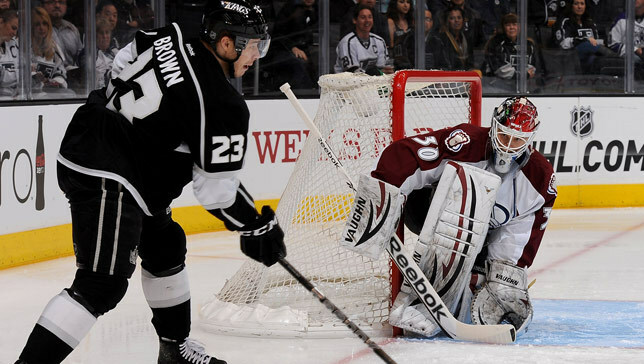 The netminder from Tempere, Finland will be playing in his second career NHL game, as he made his league debut on April 11, 2013 at the Los Angeles Kings. Aittokallio stopped 23 of 25 shots against the Kings in his first game, but he didn't factor into the decision after being forced to leave in the third period because of cramps in both of his legs. He was 20 years old at the time and became the second youngest goalie to ever make his NHL debut for the Avalanche (Marc Denis, 19, Dec. 7, 1996 at Los Angeles). He was thrown into several tough situations early in that contest at Los Angeles, which included having to backstop three shorthanded situations in the first period. Aittokallio seemed to get more comfortable as the game went on, and he made several big saves to allow the Avs to comeback from being down 2-0 and force overtime. Colorado lost 3-2 in a shootout. Aittokallio has appeared in 21 games this season for the Lake Erie Monsters, posting an 8-9-1 record with a 2.89 goals-against average and a .900 save percentage. This is the second time this month that he has been called up from the American Hockey League (Jan. 13). The Avalanche will make one additional roster change this evening against the Lightning as John Mitchell will replace Alex Tanguay in the lineup. Tanguay played 17:10 and assisted on Colorado's second goal last night against the Panthers, his first contest since Nov. 2 versus Montreal. Tanguay had missed 36 games with knee and hip injuries, and Roy said he didn't want to work him too much early in his return. "We wanted to use Tanguay for only one of the two (back-to-back) games," Roy said to NHL.com. "We were hoping to use him in Florida and then give him two days off before playing his next game. I thought that was the perfect scenario. That was our plan and we're going to stick to the plan." Mitchell was not with the team on Friday in Sunrise, Fla., as he was dealing with an illness, but he met the club in Tampa and is expected to play against the Lightning.